Mercedes-Benz GLC Interior, Sat Nav, Dashboard | What Car? You sit suitably high up, even though the driver’s seat isn’t as far from the road as it is in some large SUVs. 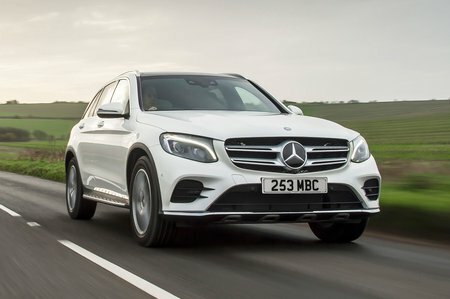 You shouldn’t have much bother finding a comfortable driving position, either, because all GLCs have fully electric front seats, including four-way adjustable lumbar support, to help keep your posture good on longer journeys. There’s a good range of steering wheel movement, although the pedals are offset a little too far to the right. The Premium Package adds memory seats, which can remember exactly where everything was and reposition it for you automatically after someone else has been driving. You’re treated to a commanding view of the road ahead, but the way the windscreen pillars are angled back further than is the case in many SUVs has the effect of restricting visibility at junctions. Over-the-shoulder vision is perfectly adequate by the standards of the class, and all models come with a reversing camera for a bit of extra help. All but Urban Edition trim also have front and rear parking sensors as well as a semi-autonomous system that helps steer the car into a parking space for you. 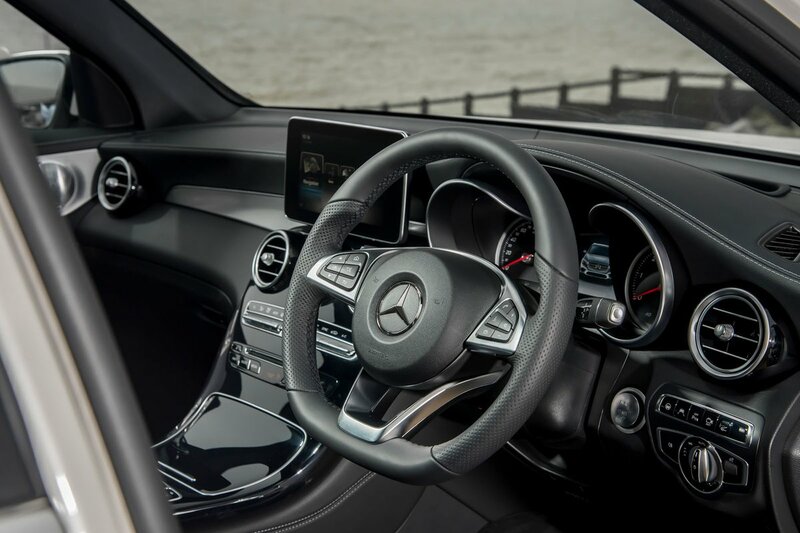 Most Mercedes GLCs get a 7in colour screen with sat-nav mounted high up on the dashboard, which is controlled using a rotary dial and touchpad between the front seats. Most of the time you’ll be better off sticking with the dial: it’s quicker and easier to use on the move than the gimmicky touchpad. AMG 63 and AMG 63 S models have a bigger 8.4in screen as standard; it’s a very expensive option on all other trims apart from Urban Edition – on which it isn’t available at all. The bigger system is easier to use and slicker, and brings a larger, higher-resolution display. However, the menu system still isn’t particularly easy to fathom compared with BMW’s excellent iDrive; some simple tasks take longer than they should – even when you’ve learnt the system’s quirks. 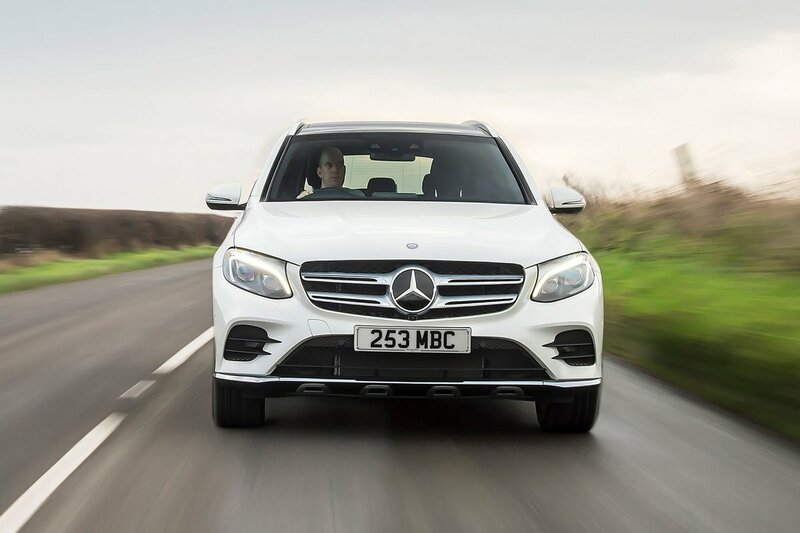 For sheer wow-factor, the GLC’s interior beats all of its rivals thanks to its giant gloss black (or matt black wood) centre console and the eye-catching metal highlights that are sprinkled across the dashboard. It’s true that you’ll notice unwelcome creaks if you prod some of the fixtures (including the aforementioned centre console), but overall the GLC still edges rivals such as the Land Rover Discovery Sport, but not the Audi Q5 and BMW X3. Whichever trim you choose, you’ll get seats trimmed in something Mercedes calls Artico. This looks like leather but is actually a man-made substitute, although it doesn’t feel too plasticky. The real deal is available if you’re prepared to pay extra.